Escape the urban bustle at Mount Roberts Trail and Nugget Falls. Kids will appreciate attractions like Mendenhall Glacier and DIPAC's Macaulay Salmon Hatchery. There's lots more to do: whizz through the canopy at some of the top local zipline courses and adventure parks, contemplate the waterfront views at Inside Passage, and see majestic marine mammals with a dolphin and whale watching tour. For maps, ratings, more things to do, and more tourist information, go to the Juneau travel itinerary planner. Newark to Juneau is an approximately 12.5-hour flight. Traveling from Newark to Juneau, you'll gain 4 hours due to the time zone difference. When traveling from Newark in July, plan for cooler days and slightly colder nights in Juneau: temperatures range from 63°F by day to 50°F at night. Wrap up your sightseeing on the 1st (Tue) to allow time to travel to Ketchikan. The narrow city of Ketchikan clings to the bluffs that form Revillagigedo Island's southwestern shore. Get in touch with nature at Zipline and Misty Fjords National Monument. Discover out-of-the-way places like Kayaking & Canoeing and Totem Bight State Historical Park. And it doesn't end there: see some colorful creatures with a scuba or snorkeling tour, traverse land and water with a duck tour, and delve into the lush surroundings at Misty Fjords Air & Outfitting, Inc..
To see traveler tips, maps, where to stay, and other tourist information, go to the Ketchikan online itinerary creator. You can fly from Juneau to Ketchikan in 2.5 hours. Another option is to ride a ferry. August in Ketchikan sees daily highs of 64°F and lows of 53°F at night. Cap off your sightseeing on the 4th (Fri) early enough to catch the flight to Sitka. The City and Borough of Sitka, formerly Novo-Arkhangelsk, or New Archangel under Russian rule, is a unified city-borough located on Baranof Island and the southern half of Chichagof Island in the Alexander Archipelago of the Pacific Ocean (part of the Alaska Panhandle), in the U.S. On the 4th (Fri), appreciate the extensive heritage of Sitka National Historic Park/Totem Park, identify plant and animal life at Alaska Raptor Center, and then relax and float downstream with a rafting and tubing tour. To find photos, more things to do, ratings, and tourist information, read our Sitka vacation planner. Traveling by flight from Ketchikan to Sitka takes an hour. Alternatively, you can ride a ferry. In August, daily temperatures in Sitka can reach 62°F, while at night they dip to 53°F. Wrap up your sightseeing by early afternoon on the 5th (Sat) to allow time for travel to Anchorage. Home to nearly half of Alaska's population, the port city of Anchorage covers a staggering area of over 4,900 sq km (1,900 sq mi) surrounded by mountains. Get outdoors at Independence Mine State Historical Park and Tony Knowles Coastal Trail. Attractions like Matanuska Glacier and Alaska Wildlife Conservation Center make great kid-friendly stops. Step out of Anchorage to go to Girdwood and see Portage Glacier, which is approximately 1h 05 min away. 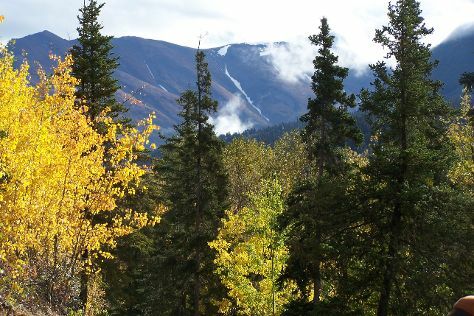 And it doesn't end there: trek along Flattop Mountain Trail, delve into the lush surroundings at Chugach National Forest, and identify plant and animal life at Potter Marsh Bird Sanctuary. For more things to do, ratings, maps, and more tourist information, go to the Anchorage trip itinerary planner. Getting from Sitka to Anchorage by flight takes about 4.5 hours. Other options: do a combination of ferry and train. Expect a daytime high around 66°F in August, and nighttime lows around 53°F. Cap off your sightseeing on the 9th (Wed) early enough to go by car to Seward. For most visitors to this part of the world, the wild part of Alaska starts at Seward, a small port city that takes advantage of the region's natural beauty. Visiting Resurrection Bay and Seward Boat Harbor will get you outdoors. Explore hidden gems such as Exit Glacier and Seward Museum. There's much more to do: see majestic marine mammals with a dolphin and whale watching tour, take an unforgettable tour with a helicopter tour, identify plant and animal life at Alaska SeaLife Center, and paddle through the water with a kayaking and canoeing tour. To find ratings, reviews, where to stay, and more tourist information, use the Seward custom trip planner. Drive from Anchorage to Seward in 2.5 hours. Alternatively, you can take a train; or do a combination of car and bus. Traveling from Anchorage in August, expect nights in Seward to be about the same, around 50°F, while days are slightly colder, around 61°F. Cap off your sightseeing on the 12th (Sat) early enough to travel back home.